It was a beautiful sunny day at Saturday’s Leeds Artsmix Market. Hope’s were high with a position next to the fudge stall guaranteeing a constant stream of traffic, and sure enough fudge of every possible flavour was soon being devoured by the hungry and happy Leodises. But as the morning wore on, and the crowds at the award winning fudge stall grew, at our photography stall just an inch away, all was silent, not one sale, not even a hint of one. And then, at about 1pm, the inevitable sugar rush from all that fudge eating hit, and for 40 minutes there was a sudden splurge of interest, conversation, and selling; from nothing to the promise of an excellent day. It couldn’t last, a sugar rush never can. As abruptly as the selling started it ended, and rather than spending money at the stall the Leodises instead ate their food and drank their wine in the sun, before finishing off the day eating even more fudge. I myself had a mix of clotted cream and orange & white chocolate flavours, and sampled the salted caramel; all excellent, but the clotted cream fudge was just something else. Every Artsmix market comes with the near miss of a sale, and as each sale is a precious gift capable of turning a so so day into a glorious one, the near miss is an emotional event. yesterday proved no exception. Near miss number one was a New Yorker with a month to kill in Leeds on the hunt for an image of Salisbury Cathedral. His father had been stationed in the city for a time during the Vietnam War, very happy to be away from the front line, and though the New Yorker was too young to remember I guess the fondness of the time and place had rubbed off. 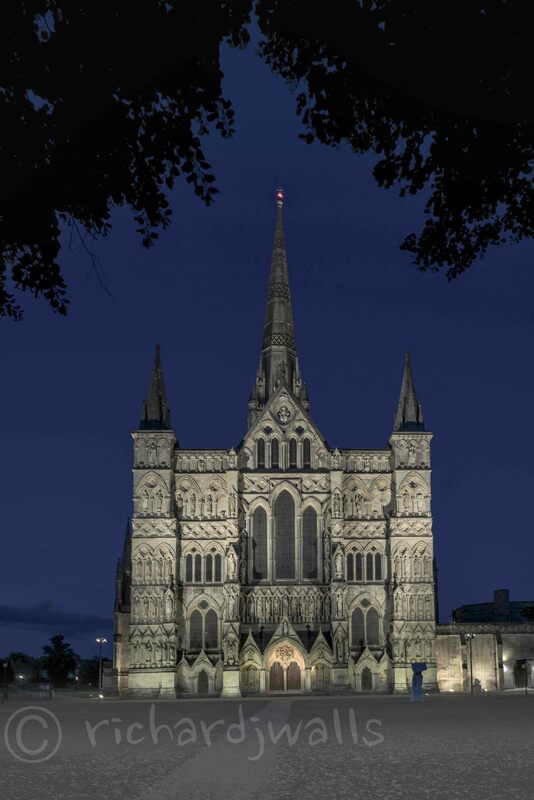 Two years ago we’d stayed just a two minute stroll away from the Cathedral and took the opportunity to take some night time shots. I’ll be sure to print one and bring it to the next market just in case a second New Yorker rocks up. Near miss number two was a mother and daughter combo. 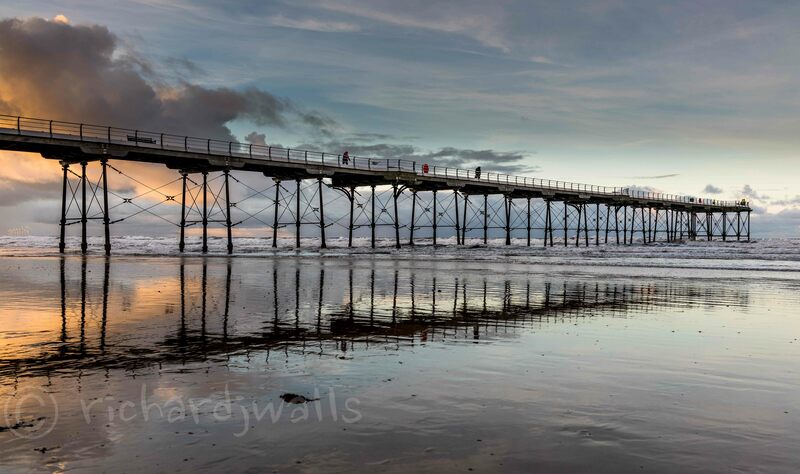 The mum, a keen photographer, was taken with an image of Saltburn Pier but wanted a bigger version. The daughter, spotting an opportunity to buy a secret gift, cut an animated figure behind as she mimed the international signal for “do you have an email address“. But, as we all know, it’s tough to outwit a mum, and so after much secret signalling mum took control of both the situation and the business card. They left to that often heard shopping refrain “You’re so hard to buy for, and when I do find something …” . At each market I have a favourite sale. Last time around is was Open Doorway in Andalusia. 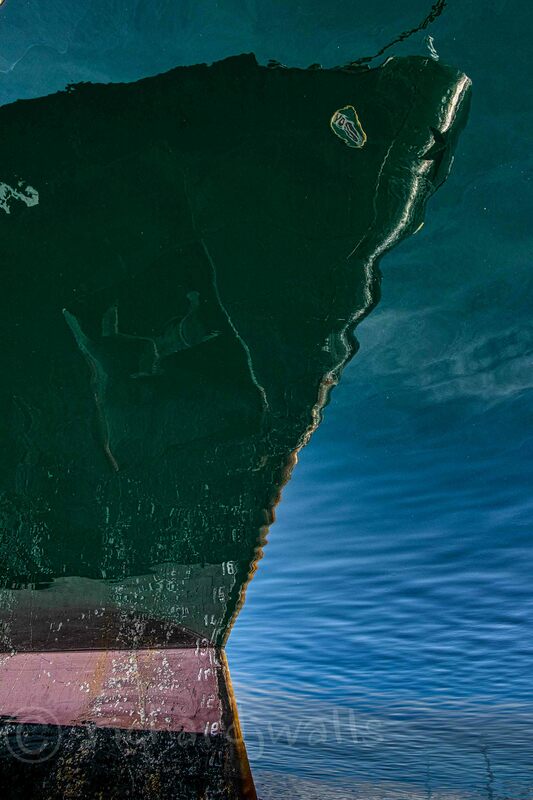 This week it was Bow, an abstract shot of MS Lofoten from our journey up the Norwegian coastline. Though I love the shot I printed it with no real expectation of a sale; classic shots of Staithes and Whitby being the bread and butter that pay the Market rent. So it was a total pleasure to chat to the lady from Birmingham (I think) about the image, and just fantastic when she returned after 10 minutes to buy the picture. Saturday’s seven sales meant that I’ve now racked up over fifty sales and a thousand pounds in turnover. Since I’ve spent almost double that on materials, equipment and set up costs, any thought of profit is consigned to the distant future, but, the idea that the general public of Leeds have liked 50 odd of my photographs enough to be prepared to pay, and more importantly live with in their homes, is reward in itself. Richard that is a very interesting read on the reality of a market stall. There’s an irony, if I had spent as much money on buying one or two large outstanding prints than on photography gear, by now I would have some beautiful work to look at. A bit like a fisherman buying his supper at the local chippy after an unsuccessful day on the pier. I would never believe market stalls actually paid. Except Ive just watched local (Tyneside) photogs youtube on how to price prints, there is that conflict of to return a profit you need to sell at X which is 5 times more than I would imagine Joe public is willing to pay. But how wrong is that attitude, he sets up limited edition runs and there is always folk out there with plenty of money and reasons to buy as you have demonstrated.